This Brizo SH84102-BN Brushed Nickel Invigorating HydraChoice Round Body Spray Sprayhead is part of Brizo's Baliza Collection. The Baliza Collection is characterized by unique and simple architecture, along with elegant lines. Baliza's fresh perspective is warm, and has that traditional feel. This Adjustable Sprayhead features a simplistic round design ideal for any of Brizo's custom or standard shower systems that include HydraChoice Body Sprays. 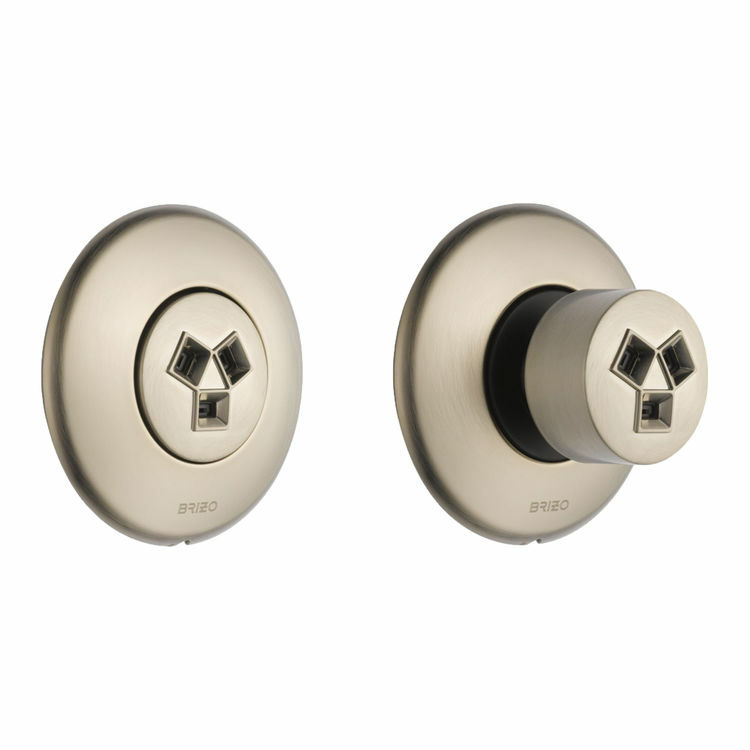 The Brizo SH84102-BN Brushed Nickel Sprayhead will automatically extend when water is turned on and can be adjusted by 50 degrees in any direction. This feature allows you to aim the water exactly where it’s needed, and gives your shower maximized comfort. The Brizo SH84102-BN features Brizo's one of a kind H2Okinetic Technology. This Technology allows you to customize the water’s shape, velocity and thermal dynamics, all while using less water than the standard sprayhead. System has a 1.5 Gpm flow Rate, and requires R84100 Baliza Body Spray Rough-In Valve (sold separately). H2Okinetic Technology creates large droplets that retain heat, and create a massaging effect and denser spray pattern. This Sprayhead has a beautiful Brushed Nickel finish, which is backed by a limited lifetime warranty. All parts and finishes from Brizo are warranted to be free from defects in material and workmanship for as long as the original consumer purchaser owns their home. If you are looking for additional shower systems and kitchen pieces to complete your home, look no further. PlumbersStock.com has hundreds of Brizo products guaranteed to satisfy any style!